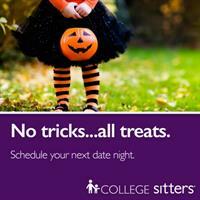 College Nannies, Sitters and Tutors has been Building Stronger Families® nationally since 2001. We are now serving the communities of Keller, Colleyville, Roanoke and surrounding communities. Locally owned and operated, we are part of your community, here to serve your family. Whether your family needs the quality care that comes from one of our role model nannies or the one-on-one attention from one of our College Tutors, we are committed to helping you build a stronger family. We like to see children and students achieve their full potential, but we also want to reduce the stress families feel around the issues of childcare and homework issues. If you are ready for the solution, please call or stop in today to schedule a personal family consultation. Professional role models dedicated to meet the educational goals of your children. MySitters app gives you acess to a sitter 24 hours a day 365 days a year - it's that easy! Locally owned, professionally managed - we provide customized solutions for your family.